Most conventions are fun－chaotic yet controlled adventures from work, school, or family. 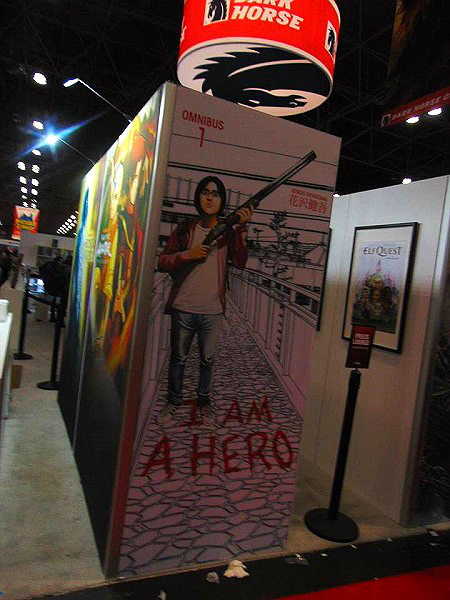 New York Comic Con is no different, but it's 40 times bigger than your average con. After it surpassed SDCC's attendance last year, this year was its biggest yet, and featured major events, merchandise, and famous stars that would please most fans of entertainment media. If standing in line to get a wristband for Game of Thrones wasn't an option, other activities were on the table, such as seeing the different types of prints and comics in the Artist Alley, getting an autograph with guests, or attending any of the fan meetups inside or outside the convention. In addition to the movie screening of Boruto in the Hammerstein Ballroom, there was plenty to do over the 4 day weekend that would have kept you moving through the crowds. Aside from some much needed changes to make it easier to get around the convention, there were announcements and guests that made this convention fun. 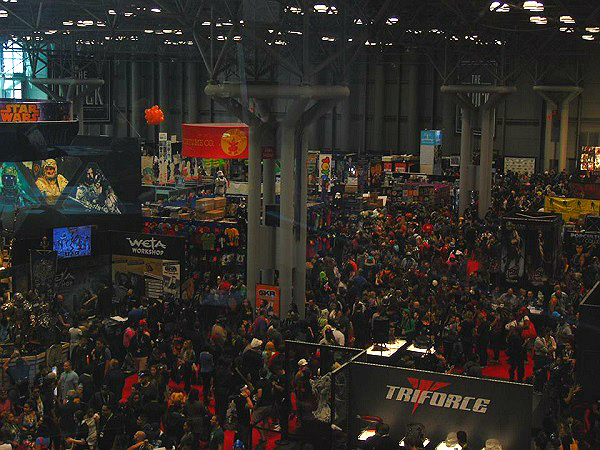 Here’s 5 things that were good about NYCC, with 3 things that could be improved for next year. This has been one of the best anime to air in recent memory, but it ended in September last year. This has been the year of the “titles no one thought would ever get licensed!” From Ginga Eiyuu Densetsu (Legend of the Galactic Heroes), to Kuragehime, to Queen Emeraldas, to Baccano, the list could go on, but in essence, we had all these announcements, yet Hunter x Hunter wasn’t one of them? Well, it was about time someone picked up Yoshihiro Togashi’s work, and many have a chance at owning it. The only problem is it being released in 2016. There’s enough stuff to look forward to getting then. 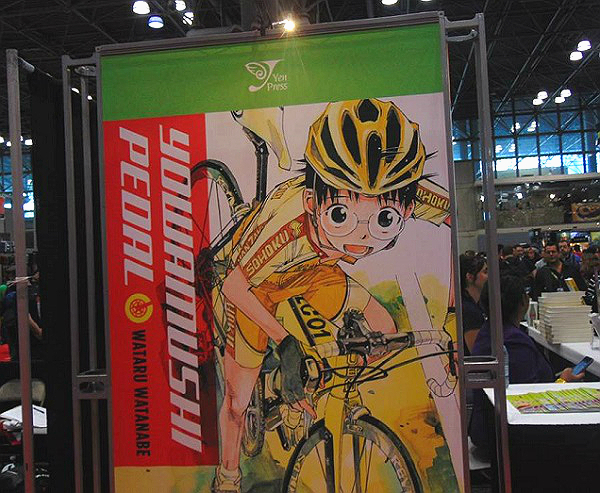 Yen Press doing what it can to showcase Onoda's cycling skills. Speaking of stuff to forward to in 2016, Kuroko’s no Basket and Haikyuu!! will also be on that list. Sure, the many sports manga that have been licensed before, only to promptly do poorly continue to haunt the industry. But with Yen Press licensing Yowamushi Pedal, Vertical licensing Kamisama ga Uso wo Tsuku, and now Viz licensing Kuroko and Haikyuu!, the sports manga landscape has a chance to change its current reputation. Let's just say this was a long line. For specific reasons. 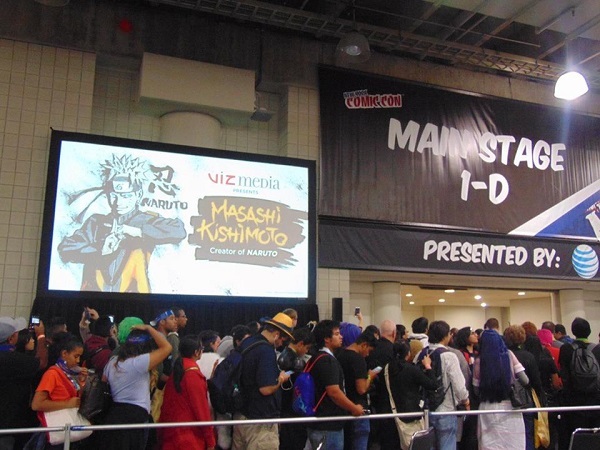 It’s rare for manga artist to make the trip to conventions due to their workload, but it makes sense for Masashi Kishimoto to appear at NYCC now, because he's not working on anything at the moment, and since it is a comic convention, just about everyone knows who Naruto is (and who created it). 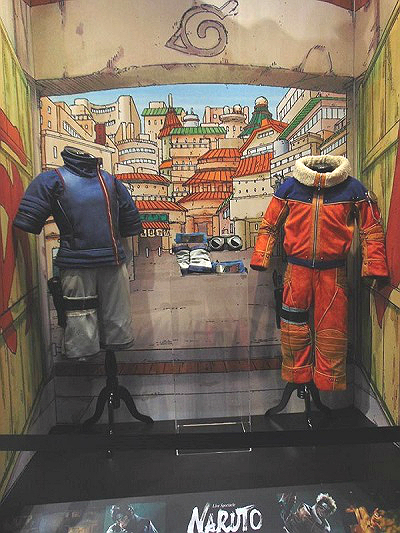 As he explained in his "An Evening With Masashi Kishimoto" panel, he's been spending time with his family, taking a well-earned break after working on Naruto since 1999. He did mention he has an idea for a future title down the road, but wasn't going to share it yet. Despite this, the room loved to see him as he answered questions, drew Naruto and Jiraiya, and gave him a standing ovation as the panel came to its conclusion. NYCC is held at the Jacob Javits Center near the Hudson River, far away from normal civilization (A.K.A the crowds of the city). Every year getting to the convention requires a long walk over if you took any 7th or 8th Ave train. Enter the 7 Train, which was finally finished, making it easier to get to the convention. There was no need to take a bus and walk a long way to get to the convention, so it made for a more enjoyable experience. At Viz's booth a bit of Naruto history was shown, along with information on the Naruto Musical in Japan. Wi-Fi at the convention has never been any good and until last year it was expensive. From last year you could get service on your phone, which was somewhat of an improvement. However from this year, thanks to “Lexcorp”, there was no need to pay for Wi-Fi as it was free! During the times I used it there were not problems. That was the cherry on top of my 4 day weekend. 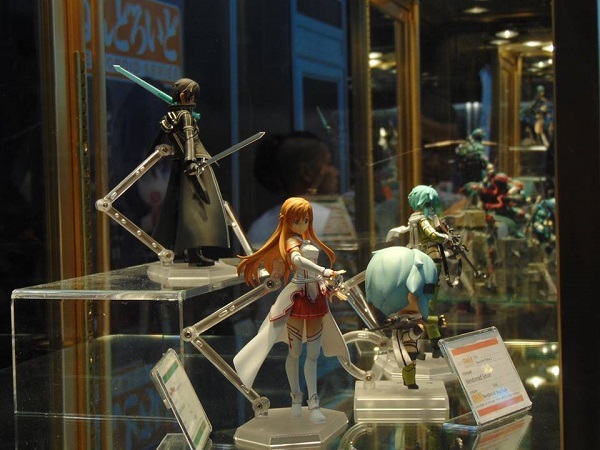 Good Smile Company once again bringing the goods to NYCC! While it was free, not everything was smooth. There were people at the convention who reported it did not work Thursday. When I used it Friday, it had a log-in form that required you to enter your email address and to sign up for Lexcorp’s newsletter. This changed Saturday, where you could skip the process. The only problem left was that it would let you stay on between 15-30 minutes, and then you would have to log-in again. I assume it’s a challenge to maintain free Wi-Fi for a lot of people, but it is annoying to have to log in a lot to use it. 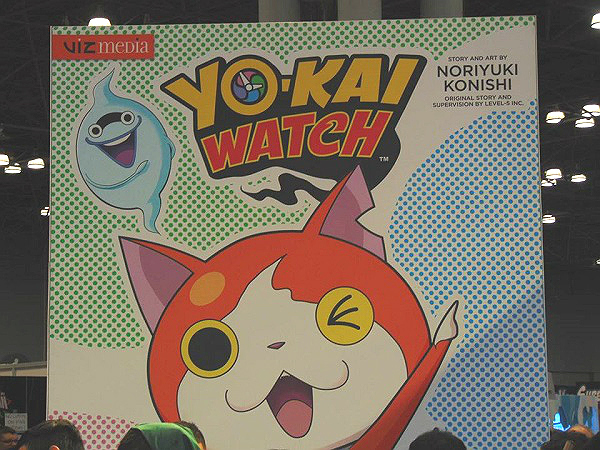 It is a significant challenge to determine what guests or panels will go where, but it seems to be especially challenging to schedule anime or manga entertainment almost every year. Most of Thursday and all of Sunday were free of any industry or anime/manga panels, and while it does depend on preference, surely something can work out where there isn't a Yen Press panel followed by a Kodansha panel straight away. Speaking of Yen Press, their panel was in a 50-70 seat room, and that might be generous. Viewster’s room was in maybe a 300 seat room. 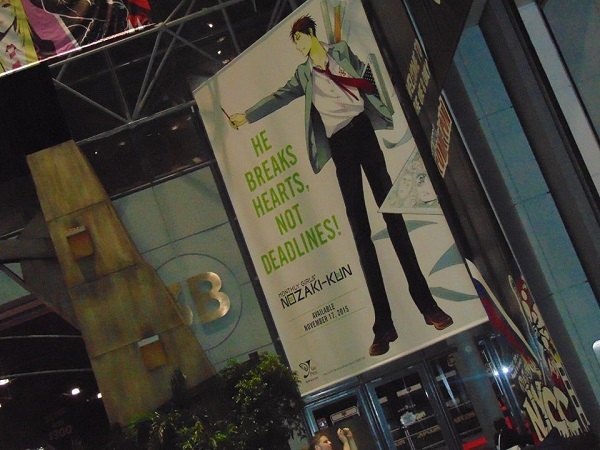 Yen Press is a known manga publisher, and have been at NYCC for years; Viewster started streaming anime last year for a European audience (only establishing a U.S presence this year), and this is their first time at NYCC. Not surprisingly, it was packed for Yen (and con staff could not let anyone else in) and not so much for Viewster. I think past history should help determine who would get in what room (Aniplex, while they had a decent sized room, could have been in a better room), but this didn’t apply at NYCC. As mentioned with scheduling, it is challenging to determine what guests or panels will go where, but this could be improved. 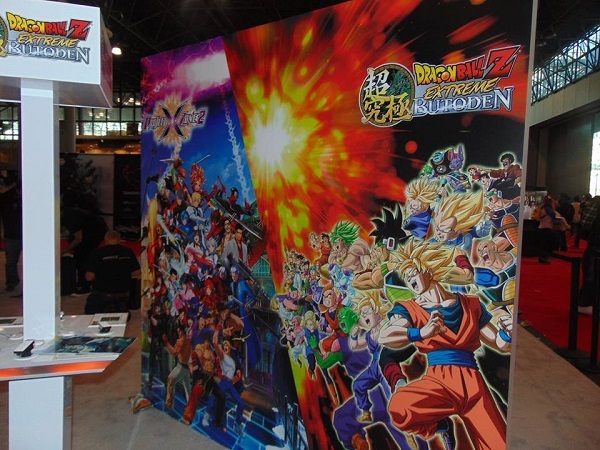 New York Comic Con has been a convention that draws me back to it every year, despite the amount of people and sometimes lack of guests in anime and manga entertainment. It's something to deal with, but there's plenty of stuff to do every day, and with the improvements it made from last year to this year, the convention can only get bigger and better next year. How it will get bigger and better will remain a mystery until next year's NYCC, so we'll have to wait to know the answer. Anime: Naruto, Dragon Ball Z, Naruto: Shippuuden, Hunter x Hunter (2011), Kuroko no Basket, Youkai Watch, Haikyuu! !